Lock in a great price for The Waddell – rated 8.5 by recent guests! Hotel had a lot of charm and great location. Staff was very friendly and helpful. Room on 3rd floor had large fireplace and great view. People of Port Hope itself were also very friendly. 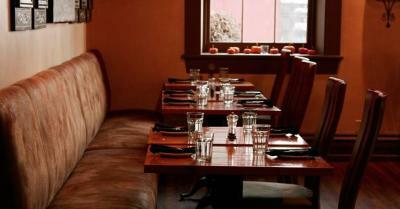 Great location and the food was excellent. Close to theatre. Quaint small hotel in a great location beside the river and minutes walking from restaurants and pubs. Hotel had a cozy bed and breakfast feel. Menu of hot breakfast items was great, food was delicious. Good location for walking about. The staff was incredibly friendly! Very willing to make some adjustments to their breakfast schedule to accommodate our schedule. The breakfast was gourmet and delicious! Beds were super comfy, and the rooms were very clean! Easy to find and turned out to be an amazing location for our event! Wanted to take the bed and pillows home it was that comfortable. 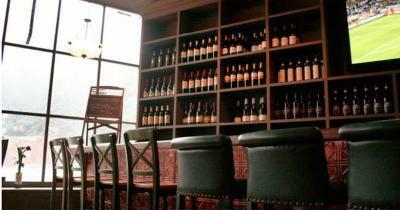 We found the staff very friendly and what impressed us the most was their remembering us from a previous stay and remembering things like my husband likes scotch and water and we liked a particular table by the window. The Waddell This rating is a reflection of how the property compares to the industry standard when it comes to price, facilities and services available. It's based on a self-evaluation by the property. Use this rating to help choose your stay! 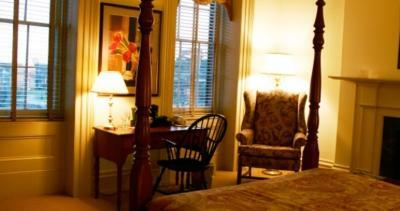 Overlooking the Ganaraska River or the park, The Waddell is set in the picturesque town of Port Hope. 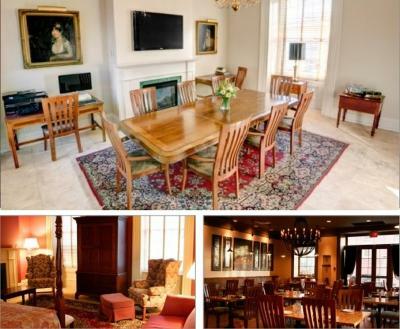 This 3-star hotel offers an on-site restaurant and free WiFi. 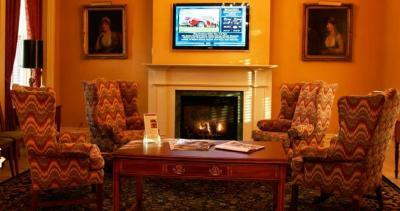 Hot breakfast is included with all rates and rooms. 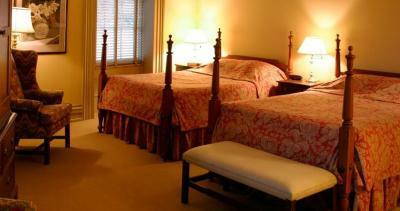 Elegantly decorated and furnished with four poster beds, the guestrooms come with a coffee maker, cable TV and telephone. The private bathroom includes free toiletries. Some open out onto a terrace or enjoy a fireplace. 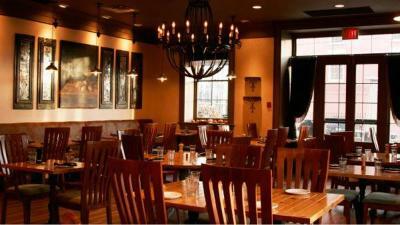 The restaurant Trattoria Gusto prepares a variety of Italian dishes for both lunch and dinner. The Waddell is within 450 feet from Capitol Theater. Port Hope Shopping Center is at a distance of 0.7 mi, while the Waterfront Trail is 1 mi away. It is an hour’s drive from Toronto. Parking is offered at no charge. 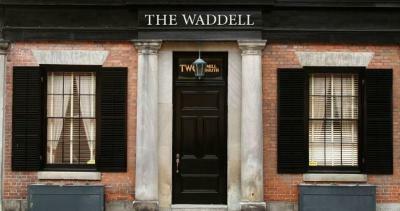 When would you like to stay at The Waddell? Opening out onto a private terrace with a river-view, this elegantly decorated room is fitted with a four poster bed, armchairs and custom-built mahogany furnishings. It also includes a fireplace. 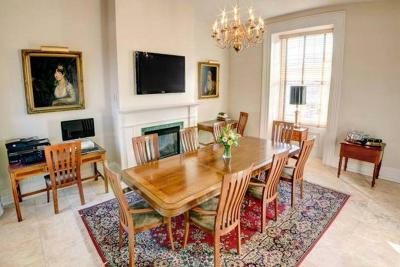 Elegantly decorated, this room offers a river-view from its window. It is equipped with high ceilings and a our poster bed. A cable TV and coffee maker area standard. Some include a fireplace. 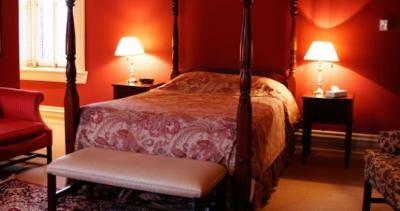 Elegantly decorated, this room offers high ceilings, 2 four poster beds and 4 large windows. A cable TV and coffee maker area standard. Offering a street-view, this elegantly decorated room is fitted with custom-built cherry furnishings, four poster bed and armchairs. A cable TV and coffee maker area standard. House Rules The Waddell takes special requests – add in the next step! 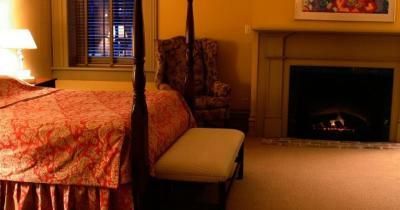 Any additional adults are charged CAD 20 per person per night when using existing beds. The Waddell accepts these cards and reserves the right to temporarily hold an amount prior to arrival. The staff was wonderful and went above and beyond to make our brief stay a blessing. We will certainly return for another visit when in the area. Only comment would be that the bedroom was exstremely hot and even after turning down the thermostat to the lowest option, we decided opening all the window. Would have been perfect if you like hot cosy rooms, we just found it a little too hot for comfort. The Waddell kindly looked after my luggage whilst I was away travelling before staying at the hotel. The place was beautifully decorated with very friendly staff. The room was expensive, however met all expectations. the view of the river was beautiful. Room was very nice. Fireplace was a little too complicated for easy use. It would be good to make it more user friendly. 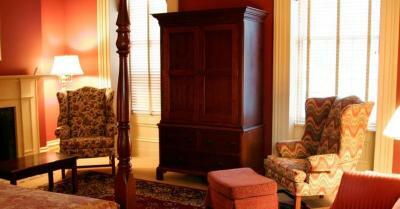 Wonderful historic hotels. Rooms are pretty and ours had a fireplace with a view of the river. 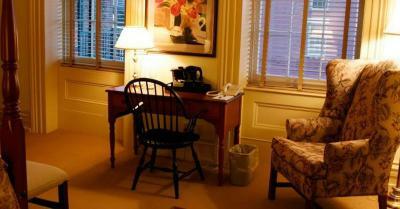 Rooms are also very spacious compared to most modern hotels. Quiet and small and perfect for a romantic getaway. 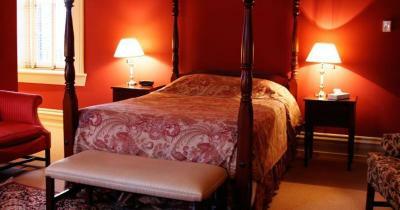 We stayed over Christmas and staff were wonderful and accommodating even with the holiday. Located right downtown in Port Hope, near all the cute shops and cafes. The hotel has a small parking lot right outside the main entrance which is convenient. Not a thing that I can think of. The friendly and helpful staff. They went above and beyond to make this a great weekend for us. Through illness we had to cancel the first weekend we had booked but switched it to the following weekend. They kept apologizing that they could not give us the exact room we had originally booked. We totally understood since we were the ones that changed the booking. It was so nice that they cared enough to try and make it a great experience for us. Can hardly wait to book this place again. Noise from the heating ducts made it impossible to have a good nights sleep. We were in room 302 and the hotel advised us after the fact that following an earlier complaint from 302, the matter had been dealt with. It had not. Avoid the 3rd floor. Extremely noisy with ongoing trains all night long and the roadway was much busier and louder then we expected in a small village. Location was perfect for walking through town. Location for shopping and walking. The hotel was beautiful. Taped over cracked window in bathroom was little cheesy. Bathrooms are in need of some bleach and scrubbing. TV could only be watched comfortable from sitting on bed, no TV channel assignment list. For breakfast I requested coffee and a glass of orange juice, but was only allowed ONE liquid. Who heard of that restriction in a pricey hotel? Hmmmm ... can’t think of anything that stood out! The staff amazing, over & above service! 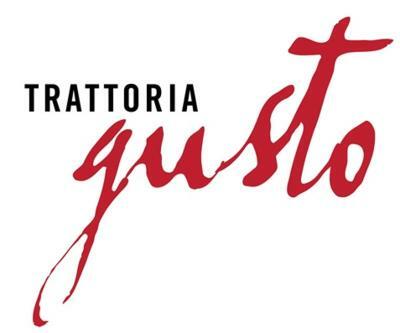 The “Gusto Restaurant” food delicious both dinner & breakfast! When we entered our room visually “beautiful” getting ready for our dinner the shower had a grab bar on the far wall of the tub! As we are older guests, the grab bar for safety should be on the tap wall, one needs security getting in & out of tub! When we came back from Theatre performance & got into bed we couldn’t believe the softness of the mattress! Consequently we both were awake all night, tossing & turning absolutely no sleep due to mattress! We knew there was no use calling room service to change rooms as the hotel was totally booked!!! The mattress in room 305 definitely needs to be replaced!! !